Today, we are proud to be the premier Seattle General Contractor and remodeling company working in the industry, and we remain committed to rare honesty and scrupulous focus. These ideals extend to every craftsman on our team, and it’s why almost all of our current employees have been with us for over a decade. DP Palmer’s managing partners are ready to help you realize your dream home, create the perfect addition, or completely repaint your house with a creative edge that will make it a true one-of-a-kind. Contact our Seattle General Contractor and remodeling professionals today, and find out why DP Palmer continues to be the company of choice for property owners with refined tastes. All of our general Contractor clients benefit from our professional business management and scrupulous attention to detail. Any home project that requires a general contractor starts with the spark of an idea. Perhaps you want to build an addition because you’re family is growing. You may want to build an outdoor kitchen to entertain guests and family. It’s possible that it’s just time for a home makeover where you completely overhaul your home’s appearance from top to bottom. Whatever your reason, the Seattle general Contractor team at DP Palmer will work directly with you to thoroughly develop a design, paying close attention to every detail. One of our managing partners has a Master’s of Fine Arts degree, and can create bold color palettes while helping you fully realize other creative design elements. Once your general Contractor job has begun, we ensure that you remain part of the process via constant communication and daily progress reports. We believe that this kind of communication is vital, and it’s just one way we stand out as a premier general Contractor company. As licensed and bonded Washington State contractors, we specialize in residential and commercial Contractor and painting. 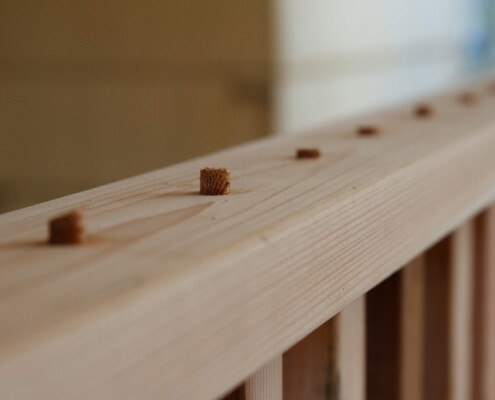 Every member of our in-house team of craftsmen takes the same pride in their work as management does in ensuring every clients receives personalized care and attention. As contractors, we are also proud to work with some of the finest independent businesspeople and artisans in Seattle. What follows is a brief overview of some of our general Contractor services. If you don’t see what you’re looking for, please give us a call and find out if we can help. Residential and Commercial Painting – The two managing partners of DP Palmer have more than 65 years of real-world painting experience. Our distinct work has been featured in award-winning trade journals such as Seattle Homes and Lifestyle, Pacific Magazine, and the Seattle Times. We will bring the same skill and dedication to your home or commercial property, and can even create custom color palettes to create something truly unique. Our general Contractor experience means we can restore any structure or historic building before we do the painting. Kitchen and Bathroom Remodels – These are two rooms that get a lot of traffic, so it makes sense to focus on modernizing and enhancing the beauty of your kitchen and bathroom. Our general Contractor team can tackle issues with plumbing and electric, while we work with you to choose the perfect features like cabinets, countertops, and appliances. Whatever you can dream of, we can turn into a reality. Home Additions – Whether you want to add a garage, a new bedroom, or even an entire second floor, our general Contractor team can seamlessly integrate any addition into your existing structure. Cosmetic Restorations – A cosmetic restoration focuses on “surface” alterations to the home, when entire renovations or makeovers just aren’t necessary. Our general Contractor team can work with you to change features like countertops, doors, moldings, and flooring while adding design elements like tile and stone. Home Makeovers – This is a comprehensive overhaul of the entire home to create a new, livelier atmosphere that better reflects your tastes and lifestyle. Our Seattle general Contractor can turn you house into your dream home. Outdoor Kitchens and Other Hardscapes – Perfect for quiet respite or entertaining friends, outdoor kitchens and other hardscape features breathe life into any outdoor space. Lead and Mold Abatement – Your health is of the utmost importance, so when you run into issues with lead or mold, you need a professional general Contractor team to remedy the problem without delay. Specialty Coatings and Elastomeric Coatings – We are fully versed in specialty and elastomeric coatings. When you need major work done to your home or commercial property, you call a general Contractor company. When you want the best, you call DP Palmer. As a property owner with demanding tastes, you expect the best from the people you hire to work for you. Our unwavering commitment to quality workmanship combined with our business integrity and honesty is what makes DP Palmer unique in the industry. 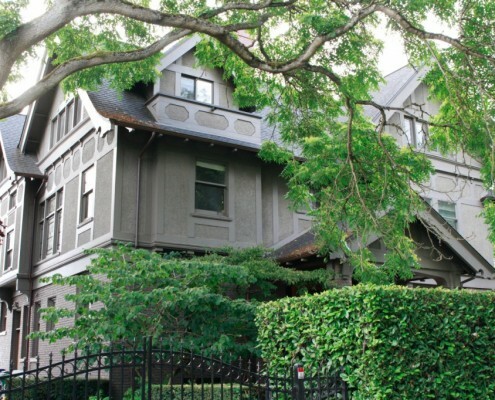 There is reason we have been the restoration team on some of Seattle’s most noteworthy projects. We are eager to help you with your next project. Give us a call today and speak with member of our general Contractor team. A bathroom remodel allows you to indulge in creature comforts and aesthetic choices that turn the space into something truly special. At times, you may encounter challenges with design elements that seem impossible to overcome. This is where the helpful advice of your general contractor will be especially beneficial. Consider some of the following information as you begin the process of designing your new bathroom. Fixtures – One of the best ways to complement your lifestyle is with fixtures that promote enhanced comfort and better health. For example, if you’re in a labor-intensive industry, you may consider installing a Jacuzzi tub in your remodeled bathroom to help you feel better at the end of the day and promote better health. Your general contractor can help you find fixtures that fit within the space you’re trying to create. Color and Texture – There are countless ways to use color and texture when designing your new bathroom. You can use, stone, tile, marble and other textured surfaces to create an overall aesthetic feel that complements the space and the rest of your home. The color you choose for your bathroom will also influence how you feel as you occupy the space. 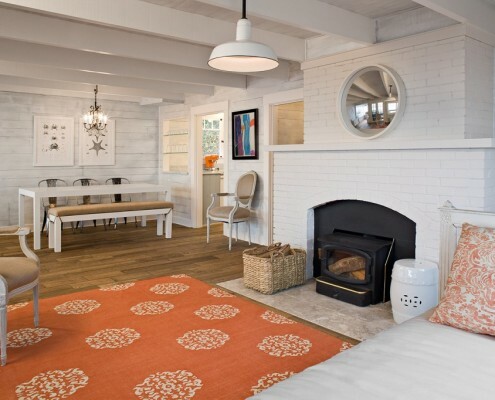 Your Seattle general contractor will help you create a color palette that is beautiful while enhancing the room. Comfort Control – The bathroom is a space where comfort is necessary. When you step out of your shower, you want to feel refreshed – not cold. Your general contractor can help you explore a number of ideas to make the bathroom more comfortable. In-floor heating has become popular because the radiant nature of the heat prevents skin from drying out and keeps you warm from head to toe. We are eager to bring your bathroom remodeling inspiration to life, so contact the general contractor at DP Palmer today and let us help you take the next step. 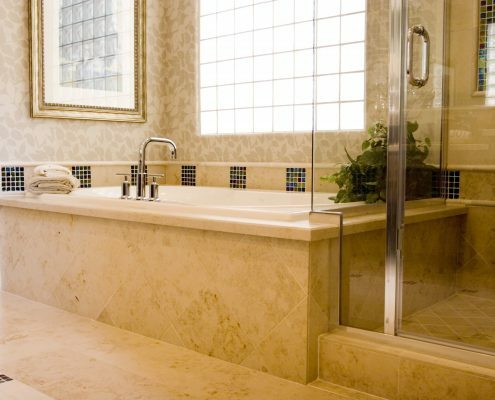 As arguably the most-used room in your house, a bathroom remodel is a chance to create a space that conforms perfectly to your unique lifestyle. Any Seattle general contractor that knows their business will tell you that remodeling a bathroom is an opportunity. Situations involving complete bathroom remodels allow your general contractor’s experience to truly shine. You undoubtedly have ideas for your bathroom, so your general contractor will work directly with you to turn those ideas into a beautiful, ergonomic living space. As you embark on this journey, there are many design elements you should consider. At DP Palmer, our Managing Partner has a Master’s Degree of Fine Arts that will be fully at your disposal while designing your new bathroom. Consider the following as you work with your new general contractor to create the perfect bathroom space. Now is the time to think about your daily routine, and how the layout and features in your bathroom can be designed to complement that routine. Even minor details incorporated into a design can go a long way toward your overall daily happiness. For example, a shower fixture or larger tub can significantly increase your personal satisfaction and health. Your general contractor from DP Palmer has the experience needed to help you meet your remodeling challenges, so it’s important that parameters are clearly defined as we start the process. The kitchen is a nexus of activity in every home. It’s a place where we often start and end our day. It’s a place where families congregate to share the day’s events, or share a toast to some life-changing achievement. Remodeling your kitchen is an opportunity to enhance and streamline your lifestyle in countless ways. As your getting started, it’s important to consider your lifestyle and share this information with your Seattle general contractor. Indeed, creating the perfect kitchen starts with the daily needs of you and your family. Much of the information above describing bathroom remodeling also applies to your kitchen. However, your daily routine is likely even more effected by the layout and design of your kitchen. The kitchen of a homeowner who enjoys cooking will have a distinctly different kitchen than someone who prefers not to cook. A homeowner with a family will have different kitchen needs than a retired couple. Your general contractor will help you determine the best way to use your space with counter tops, fixtures, and appliances that work in harmony with one another and maximize the usefulness of the area. Lighting is another key element in any kitchen remodel, because you want a well lit space to enjoy at any time of day or night. Your kitchen also gets a lot of traffic, so your choice of flooring will ultimately determine the overall value of your remodel. Cabinets are yet another design choice that requires a lot of thought. There are endless styles of cabinets to choose from, from solid wood to laminate, natural wood-grain, painted, or even custom-built. The cost for cabinets varies wildly, so you have to weigh durability and appearance against the limitations of your budget. Your Seattle general contractor from DP Palmer will help you throughout the kitchen remodel process, so you never have to worry about the project getting out of hand. Our experience is at your disposal, and we want to create a kitchen space that you and your family will enjoy for many years to come. Contact our Seattle general contractor today and get started with your home improvement or remodeling project.